An exceptional duo at Beverly Hills Plastic Surgery Group and board-certified in their field, Dr. Danielpour and Dr. Layke are exceptional plastic surgeons dedicated to utilziing the most modern, innnovative techniques to produce unparalleled results. Beverly Hills Plastic Surgery Group is distinguished from other practices because Dr. Danielpour and Dr. Layke coordinate effectively together in providing the very best experience for each patient. They both provide their indivudal perspectives to the treatment plan, which helps maximize patient satisfaction and confidence. As part of your surgical plan, the expertise of our two surgeons can be very rewarding, as your procedure times can be cut in half, while having the best and safest environment for plastic surgery. Dr. Danielpour and Dr. Layke are both-certified by the American Board of Plastic Surgery. Their experience and success have resulted in appearances in media, including NBC-LA, Home & Family TV, The Doctors, and Entertainment Tonight. They are specialists in the SIMM (Single incision mommy makeover) procedure, which is a combined tummy tuck and breast augmentation. This innovative treatment provides patients with an improved figure in reduced time and with fewer incisions. Our surgeons continue to adopt the latest plastic surgery treatment innovations and technology. They perform their services jointly, because having two minds helps to create better results in the most comfortable conditions. Schedule a consultation today by calling us at (310) 853-5147. 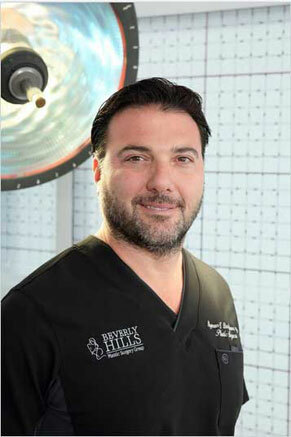 Dr. Danielpour, a native to Beverly Hills, has finally returned home after many years of education and training. Payman is a proud alumnus of Beverly Hills High School. Payman attended medical school at The Chicago Medical School. While in medical school, Payman excelled in his studies and was very active in community service and medical societies. He was elected class president of his graduating medical school class. He decided on a surgical career and trained in General Surgery at the prestigious Mount Sinai Medical Center. 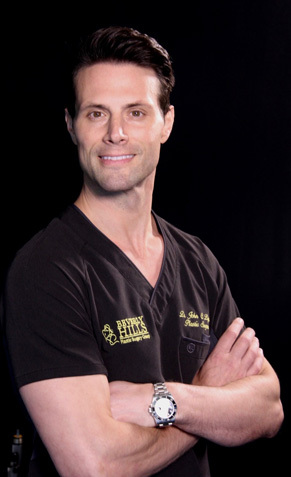 Dr. Layke grew up in the Midwest where he graduated from Marquette University in Milwaukee, Wisconsin. He attended medical school at Nova Southeastern University in Fort Lauderdale, Florida, where his interest in surgery began. Dr. Layke is not only an artist but an accomplished surgeon, scientist and author. Dr. Layke has published several articles in reputable medical and surgical journals, and he has given oral presentations at National and International Conventions. Short scar Facelift replacing the more traditional “wind blown” appearance. Can you tell? Keep them guessing! The SIMM is the only cosmetic procedure that combines the benefits of 2 plastic surgery procedures through one incision. Beverly Hills Plastic Surgery Group specializes in advanced surgical techniques to help you achieve the look you’ve always wanted. We’d like to be your first and last choice when it comes to your strategy for your aesthetic enhancement ambitions. We specialize in services and procedures that revitalize your appearance, whether it be your face, nose, breasts, body or skin. 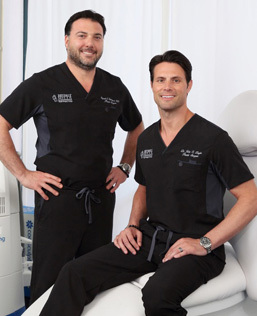 Dr. Payman Danielpour and Dr. John Layke are two board-certified plastic surgeons who dedicate themselves to using only cutting-edge tools and equipment in conjunction with time-tested procedures and techniques. What makes Beverly Hills Plastic Surgery Group unique is that Dr. Danielpour and Dr. Layke examine each patient together, providing both of their unique, distinct points of view to the situation. From there, they come up with the most pragmatic and desirable solution that ultimately creates a safe environment and an effective course of action to address your aesthetic enhancement goals. Using this dual approach, we are able to reduce operative times significantly. With two pairs of eyes, two separate sensibilities on the situation, we will be able to come up with an ironclad plan to help you enter the next chapter of your life. Plastic surgery is often looked at as a cosmetic procedure, but in some cases, plastic surgery is performed to increase functionality. For instance, a person might get a corrective nose job because their septum is deviated, or the structure of their nose inhibits regular breathing or affects allergies. After a rhinoplasty procedure, a person can breathe regularly again. Of course, aesthetic enhancement is also performed when an individual is dissatisfied with their appearance. This can occur in a myriad of ways, ranging from sagging or drooping brows, asymmetrical breasts or skin aging and irregularities. Beverly Hills Plastic Surgery Group is ready to take on the task, ready to help you feel fully confident again. We live in exciting times where technological breakthroughs occur in a variety of realms on a daily basis. Beverly Hills Plastic Surgery Group stands on the forefront, utilizing cutting-edge instruments and technology alongside time-tested techniques that achieve optimum results. We perform procedures that focus on your outward appearance that address the face and nose, breast size and symmetry, and also your body and skin. Beverly Hills Plastic Surgery Group can zero in on the area that you want to improve and enhance in a variety of ways. Facial surgery can address and revitalize your appearance through a wide assortment of treatments, for instance, a facelift, brow lift, rhinoplasty (nose job), ear surgery, neck lift, fillers, eyelid surgery as well as skin rejuvenation and scar removal. Rhinoplasty is a special practice all on its own. We can help you decide the best line of action to achieve realistic goals. We can help you if you’re unhappy with the size or width of your nose. We can also help you if you’re dissatisfied with your nose profile. An example would be a visible hump or impressions on the bridge of your nose. You might be wanting to change the tip of your nose, perhaps it’s too bulbous or droops in a less than desirable way. Dr. Payman Danielpour and Dr. John Layke are both certified by the American Board of Plastic Surgery who employ only cutting edge techniques in conjunction with time-tested procedures to achieve natural-looking results. * They examine each patient together, providing both of their unique, distinct points of view to the situation. Plastic surgery is often regarded as only a cosmetic procedure, but in some cases, it is performed to increase functionality. For instance, a person might undergo nose surgery (rhinoplasty) to correct a deviated septum or the structure of their nose inhibits regular breathing. Of course, plastic surgery can also change your appearance for cosmetic reasons. From eyelid surgeries to breast augmentations, our doctors are well equipped to help you enhance your beauty. Dr. Layke and Dr. Danielpour can turn back the hands of time by using the latest innovative techniques to sculpt a more youthful version of yourself. * Unfortunately, not all plastic surgeons are good surgeons — Dr. Layke and Dr. Danielpour also have extensive experience in plastic surgery revisions to correct the work of others. The doctors’ experience and success has resulted in appearances in media, including NBC-LA, Home & Family TV, The Doctors, and Entertainment Tonight. They are specialists in the SIMM (Single Incision Mommy Makeover) procedure, which is a combined tummy tuck and breast augmentation. This innovative treatment can provide patients with an improved figure in reduced time and with fewer incisions. The doctors from the Beverly Hills Plastic Surgery Group are featured on Entertainment Tonight, discussing the potential risks of leaking implants and the new trend towards down-sizing. Celebrity clients speak out about their battles with larger, ruptured implants and we provide the solution.